Make way for the Tank Girl of the new millenium! 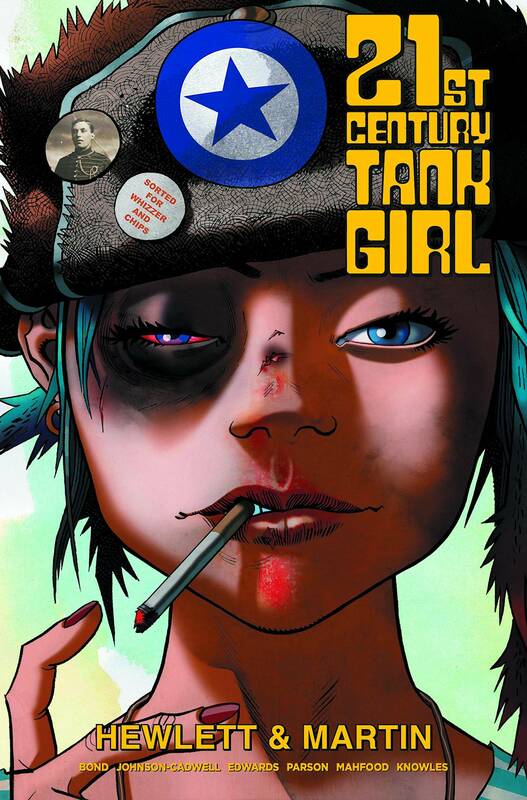 After a break of 20 years, artist extraordinaire Jamie Hewlett (GORILLAZ) is leaping back on the Tank Girl wagon, re-teaming with series co-creator Alan Martin to bring you a whole new take on the foul-mouthed, gun toting, swill-swigging hellion! Featuring riotous 100% original content from Hewlett and Martin along with contributions from a host of series stalwarts and newcomers, get your head down, put your hands over your private parts, and prepare for a chaotic collection of strips, pin-ups, and random carnage!.